Percutaneous laser disc decompression is the use of laser thermal effect and prominent vertebral Vaporization of disc nucleus and form part of the space, reducing the pressure inside the disc, from the Reduce or eliminates the oppression of the nerve, which achieve the purpose of treatment. 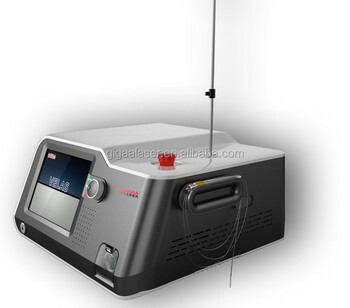 The therapeutic method of the laser treatment for PLDD. VELAS30 is the most stable system we have produced, with advanced and proven technique, high quality and good performance, many doctors appreciate the cheap price and the good effects. Compare with the traditional treatment, We call it new "laser scalpel", because minimal invasive, less pain and low bleeding. With different kinds accessories, such as flexile fiber, handpeices with various shapes and lengths, micro-endoscope etc, the versatile system to extend and develop many clinical applications. Now we have involved in dentistry, endovenous laser treatment (EVLT), ENT, PLDD, liposuction, veterinary and so on. Our laser systems have approved CE mark and ISO13485, so we can provide the best product with our best service for every customer. According to the new statistics, medical diode laser systems in recent years are maintaining a high-speed growth. With the development of living standard of the people, it will replace the traditional treatment soon and we will meet a strong market.